Attention: All Clients and Resellers! It is essential that your business adhere to these guidelines, as Google reserves the right to suspend access to Google Places and or all Google Products for businesses that violate these terms. Hiding your address in Google Places only hides it from the public. Google will still show your Places page in the appropriate search results and hiding the address will not affect your placement. The recent Venice update (January 26) reduced the impact on rankings for businesses that hide their address. Venice improves the triggering of local universal results by relying more on the ranking of your main organic search results. The organic results “signal” Google Places to bring about the most realistic and appropriate rankings. PLEASE TAKE NOTE: Google has a team of telephone operators calling businesses and asking for their address and whether they take customers at their address. THIS IS EXTREMELY IMPORTANT! Be sure that your employees and/or call center personnel understand that they may receive a call and the caller will ONLY ask for their address. If you rent a shared office, be sure they know that. If you have multiple businesses at your address, be sure you are both talking about the same business. If you have multiple addresses for your business, be sure you tell them and find out which location they are calling about. 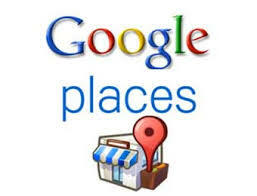 With multiple locations, you have no idea which Google Places page they are trying to verify. The wrong address might cause them to de-list a page at a different address. This is especially difficult when you have tracking numbers that all lead to one, central call center. You MUST confirm which number the caller dialed, so you can give them the proper address. Otherwise, you may lose a listing for your satellite office. Finally, it is extremely important that you follow these guidelines to the letter. You have worked very hard to reach the search ranking you currently enjoy, and it would be a travesty to lose your position due to a miscommunication. If you are paying for us to manage your Google Places, you do not need to change anything in your account. Our team will make the appropriate changes for you. If you are managing yours or your clients Google Places yourself or your business has another SEO firm managing this for you, please take the appropriate action. As always we are standing by to help.